We know that you all want to get great pictures of your kids wearing their favorite Taylor Joelle Designs clothes. 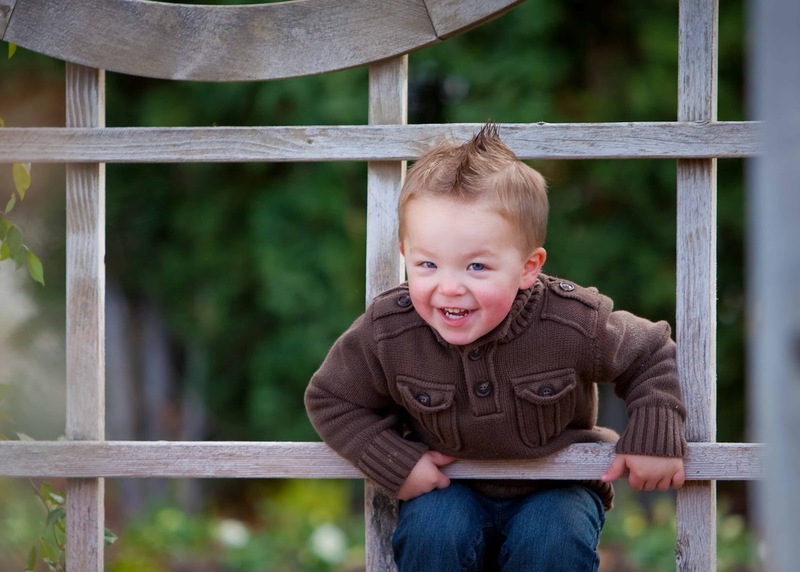 We are so excited to have Eric from Fotofly guest posting on the blog today! Not only does Fotofly take amazing pictures of your children, they are also willing to teach you how to take better photos. Is your camera always in AUTO? Are you frustrated when some of your pictures are blurry? Are your photos too light or two dark? In this article, I am going to teach you about F-Stop, shutter speed, and ISO. Iʼm also going to introduce two modes on your camera that you should be using. Once weʼre done, youʼll be able to get your camera out of AUTO and take better pictures. To adjust the F-Stop, shutter speed, and ISO on your specific camera, check your manual. 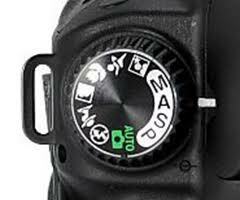 Itʼs usually a matter of getting in the right mode and using the dial on the top, front, or back of your camera. Think of it like the iris of your eye. The smaller the opening, the less light gets in. In bright light, you will typically want a HIGHER F-Stop – so the opening gets SMALLER and lets in LESS light. In low-light, you would want a LOWER F-Stop – so the opening gets BIGGER and lets in MORE light. 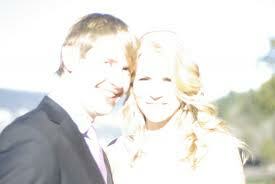 If you get it wrong, your picture can be overexposed or underexposed. Besides controlling how much light is getting into your camera, F-Stop also affects the ʻdepth of fieldʼ of your picture. Basically, you can control how blurry the background is. This is very helpful when taking a portrait of a person and you donʼt want the background to distract you from the person. The rule is, the LOWER you F-Stop, the SMALLER your depth of field. When I am taking pictures of a person, I generally use a LOW F-Stop so that the background is blurry. A blurry background is usually a good thing, as the example below shows. Notice how much more the flower stands out. whether a picture will be under or overexposed. Hopefully, this makes sense intuitively – the longer the shutter stays open, the more light gets in and the brighter the picture will be. 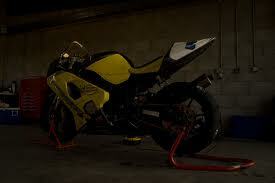 Conversely, if the shutter speed is very quick, less light will get in and the picture may be darker. • How much the camera stops motion. 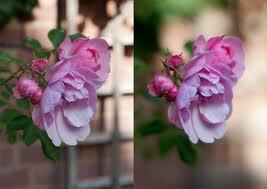 Shutter speed also affects how motions is stopped or shown. If you have a fast shutter speed, the subject does not have time to move while the shutter is open. This will ʻfreezeʼ motion. 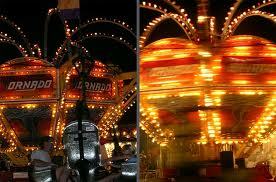 Conversely, with a slow shutter speed, something that is moving will move a certain distance while the shutter is open. All of that light gets into the camera and this is what causes blur. The shutter speed is measured in fractions of a second. So, when you set your shutter speed to ʻ125,ʼ you are setting the shutter speed to 1/125th of a second. ISO is a measure of how sensitive your cameraʼs sensor is to light. 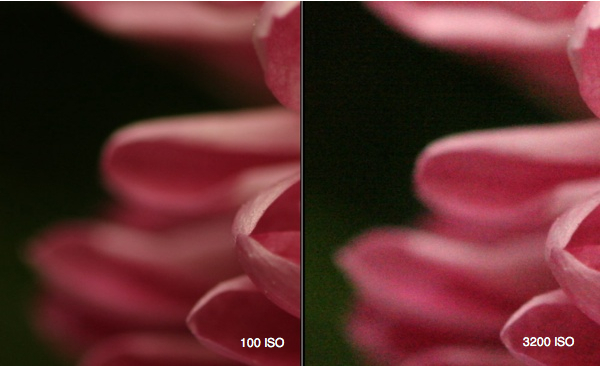 The higher the ISO, the MORE sensitive it is to light. In other words, if you are in a LOW LIGHT situation, you will likely want a HIGH ISO so that your camera is more sensitive to the small amount of light that is there. Generally, the lowest ISO is 100 and the highest may be 1600-6400. 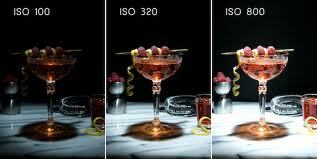 The only problem with raising your ISO is: as you get higher with your ISO, your picture will be more pixelated. Now that you have a basic understanding of the three settings on your camera that affect exposure, youʼre now ready to learn about about two modes on your camera that will help you take good pictures. The first is Av (or A). This mode is ʻaperture priority.ʼ Basically, when you set your camera to this mode, YOU will set the F-stop and the camera will adjust the shutter speed depending on the amount of light you have. So, when I am taking pictures of a person at the park and want the background to be as blurry as possible, I will set the camera to Av and set the F-Stop as low as possible. and set the F- Stop to 3.5. The other mode that I use is Tv (or S). 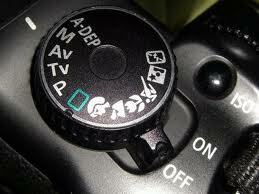 This is ʻshutter priority.ʼ In this mode, YOU set the shutter speed and the camera will choose the F-Stop. 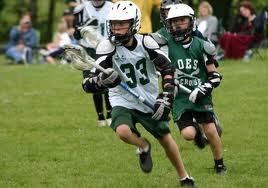 This is very useful if you are doing sports pictures where the shutter speed is the priority. When I take pictures at my sonʼs lacrosse game, I switch my camera to Tv and raise the shutter speed to 500th of a second to make sure I stop the motion. to 500th of a second. I hope that this helps you take better pictures. If you want to learn more, we have a FREE photography workshop every month. Check our Facebook page to learn when you can sign up for the upcoming workshop. We love photography and want to help everyone understand how to create amazing images on their own! Fresh, Fun, Fashion – Taylor Joelle’s New Look!